Divorce, Legal Separation, Judicial Separation – What’s the Difference? If you’re confused about the difference between divorce, legal separation and judicial separation, you are not alone. When a marriage breaks down, it is hard on everyone. Emotions can run high and it’s difficult to know what way to turn or what to ask for. It’s difficult to condense it to a few words so if you are in any doubt, just pick up the phone and talk to Tallans. Our family law team is warm, friendly and incredibly knowledgeable. You can trust them. This is where a married couple or civil partners agree terms on which they will live separately and then sign a document called a Deed of Separation to that effect. Both parties must get advice from their own solicitors. One solicitor cannot act for both parties. This is called independent legal advice. A Deed of Separation is a legally binding contract. The document sets out each party’s rights and obligations to the other. Negotiation of the terms of the document can be done by the spouses themselves in mediation or through solicitors. access to and custody of children. Many couples formalise their separation in this way. If you can’t amicably agree terms, then a judicial separation is needed. Court proceedings are instituted in order that a court can adjudicate on issues that the couple cannot resolve by agreement, such as access, custody, maintenance, property, succession rights and pensions. When these issues have been decided by the Judge, the Judge will grant the couple a Decree of Judicial separation. Either party can make the application. The Decree confirms that the couple is no longer obliged to live together as a married couple. . Obtaining a judicial separation in court is can be very stressful, long drawn out and expensive. In order to be entitled to a divorce in Ireland, you must be living apart for 4 out of the previous 5 years In certain limited circumstances living under the same roof but as separated spouses counts toward the four years i.e. you are living like tenants sharing a house. This can be difficult to prove to a court. 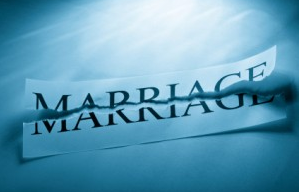 The main difference between divorce and separation is that you can officially remarry when you are divorced. You don’t have to get legally separated to get divorced however being legally separated makes a divorce more straightforward as a lot of issues – financial, inheritance, custody and maintenance – have been resolved. Either party can apply to the Circuit Court. Once the court is happy that the required conditions are met, the court will grant a Decree of Divorce dissolving the marriage. The court can make orders in relation to custody of and access to children, financial issues such as property transfer, pension, maintenance and succession rights. As we said at the beginning, it’s tough when a marriage breaks down. Nobody makes those vows thinking it will only last 2 or 5 or 10 years. But when it does happen, you need to get advice from a solicitor. Both parties need advice from solicitors. You have may have acquired property, built up savings together and those assets need to be shared fairly so that everybody is looked after, particularly children under 18 or 23 if they are in third level education. Talk to Tallans in Confidence if you find yourself in this situation or if you’re considering separating from or divorcing your spouse.